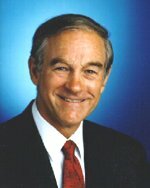 Ron Paul is unquestionably the most constitutionally loyal candidate on any ticket. His voting record shows he lives up to campaign promises. He is the ONLY candidate who understands the “New World Order’s” agenda to destroy the US and turn it into a fascist corporate state. And according to internet reports, he is actually leading in true polls but is being horribly suppressed and ignored by the TV mega-moguls. So how will he act pertaining to issues reported at CommuteFaster.com? Is clean energy part of the constitution? Maybe not directly, but life, liberty and the pursuit of happiness IS part of the Declaration of Independence, on which the Constitution is based. Clean air, soil and water is a right of life. And the constitution does require government to protect its residents. Personally I feel that would include stopping mafia style threats from monopolies, as well as keeping a “hands off” approach to let the inventor do what he needs to to get his innovation to the consumer. I have e-mailed an invitation to Ron Paul’s campaign headquarters to come on my BlogTalkRadio show for an hour and comment on this and other related issues. If I don’t hear a response in a week, I may get a little more aggressive to get his attention. I would appreciate any comments from readers who know more of Ron’s history on energy issues. Just remember, neither he nor I believe in Government hand outs. I am aware of a pork program to the wind industry he voted against. But what has he done about predatory monopolies with gross disrespect for human life? You are currently browsing the archives for the Religion & Politics category.